Baseball Hall of Famer Tony Gwynn will remain the head baseball coach at San Diego State University for at least one more year, despite ongoing health issues, the school said Wednesday. 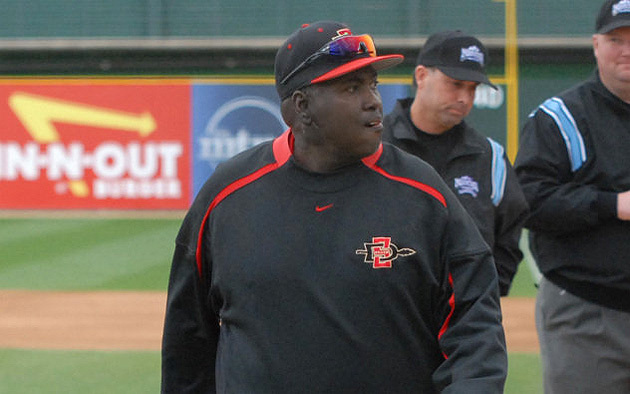 Gwynn missed the second half of the recently completed season, in which the Aztecs won the Mountain West Tournament and advanced to the NCAA Regionals, while he dealt with his health problems. In the last four years, the former San Diego Padres right-fielder has undergone treatment for cancer in a salivary gland and his cheek. His alma mater has not specified the nature of his latest health problems. Gwynn will coach his 13th season with San Diego State next year. Mark Martinez, who led the team while Gwynn was away, was promoted from associate head coach to executive head coach and is signed through the 2017 season, according to SDSU. “I’d like to thank Coach Gwynn and Jim Sterk for giving me this opportunity to remain at San Diego State,” Martinez said in a news release. Martinez, 52, joined the Aztecs as an assistant coach in July 2005. Prior to that, he spent 17 years as an assistant at New Mexico.